The Best Yamaha Choppers to Chop and Why! In order to convert a bike into a chopper, you need to have good knowledge of welding and motorcycle mechanics. And when it comes to choppers, few other motorcycle brands have gained more fame than Yamaha. Converting an old stock motorcycle is more than just revamping a vintage motor bike into a modern or old school mean machine. In fact, such conversions are needed to be high in precision and craftsmanship. From fabricating custom pipes to placing dynamic seats and wide tires, everything in a chopper conversion needs ample knowledge of the trade while ensuring the safety of its riders. This article will discuss the baics of how this is accomplished. The first thing you should do is to learn the basics and the art of chopping, customizing and welding. Keep in mind that chopping a bike into a customized version may sound easy in theory, but it is quite technical in reality. For example, if you ventured into chopping a frame and trying to rake it out without having any prior knowledge of how to and what to do, you may end up jeopardizing someone’s life. Think about it, you need to know what type of welding techniques are used, what material is to be used and when, among others. Also, you should know the type of material is used, the correct welding process to be utilized, the length of tubing, type of tubing, rake and trail, and much more. In short, everything needs to be properly calculated before you even begin to convert your bike into a chopper. Technically, the most difficult part of a Yamaha chopper conversion is to customizing the frame. Contrary to popular and rather naïve belief, chopping the frame is the most important as well as delicate aspect of a chopper. A single glitch in the process is enough to increase risks associated with the entire custom development process. The wise thing to do is to hire someone who knows the job or get someone with expert knowledge to help you. Essentially, customizing the frame requires you to know frame geometry. Unless you know what you are doing, it is advised not to indulge into something as technical as this on your own. Better get assistance from a specialist to keep the chopper conversion free of any hazards in future. The easy bit is to hire the assistance of a well reputed fabricator that provides customized welding and chopping services for bikes. At the same time, fitting the chopper frame with other components is also difficult if not more than the frame in some cases. The level of precision and the required calculations needed to fit components is quite a challenge for a novice and even for a new technician. To address this issue, better hire a professional welder who knows how to integrate the said components in a proper manner. Still, you can chop your Yamaha by embracing a cautious yet proper approach. Just continue reading the article. The Best Yamaha Models To Chop! Yamaha XS400, XS500 and XS650 are among more popular bikes in the world to chop, more so because they are relatively easy to convert than other models and brands, and they are well engineered and have nice lines for a bobber or chopper. Other models that are fun to convert into choppers are Yamaha FJ1100, XV950 among others. The XV950 is one of the most well known chopper conversions in the world. Due to various reasons, the bike remains popular to this day. Keeping this popularity in mind, many vendors and custom part manufacturers provide full, semi and partial chopper conversion kits for this model. The intriguing part of Yamaha motorcycle conversions is that they essentially become a different machine altogether after conversion. Another reason is the fulfillment of their promised increased specifications, which is often not the case with other motorcycle brands. Yamaha has set a trend and continues to capitalize on it to this day. Due to this popularity, some of their vintage models enjoy the same level of popularity today as they did many decades ago. Appeared well over decade ago, the Yamaha Raider S is one of the few models that have enjoyed a unique blend of vintage and modern technologies. The ultimate lease of life was injected into this model when it was chosen by some of the users for chopper conversion. There is something peculiar about this model that pleases the eye whenever you see it rolling. Overall dimensions of the chopper are anything but inspiring. 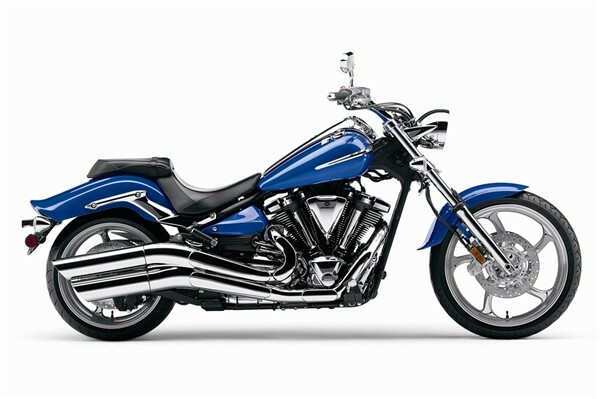 The frame rail goes in parallel with the massive and powerful V-twin engine. Originally, the engine was loaned from the Roadliner as well as the Stratoliner. This monster of an engine gives a peak torque of 106 lbs, which puts your average road running sports cars to shame. The bike is able to blast through the road to 1/4th of a mile in just 12.30 seconds. The custom chopper version features extended handles and silencer vents, filter and cooling intake are all custom welded and the all new 16 inch rims give a luxury and safer ride. The conversion package can be ordered by any Yamaha custom kit designer. Restored XS650. Click Image To Read About It! Chopped XS650 by one of our subscribers. The XS650 might be the most popular bike to convert because it has a solid frame, good lines, and there are many parts available for it. The model was originally launched in 1978 and still continues to roam roads all around the planet. The Yamaha XS650 is anything, but your casual bike, especially after customizations. 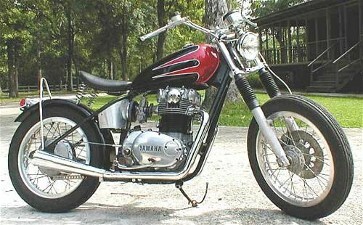 The XS650 was later upgraded to the E standard with all later models retaining the same designation. The customization process includes the installation of parts, welding pipes and molders into the main body and the forming of the final component assembly for fault and disaster testing. Though their older bikes sported a sober and stylish look, they had their share of shortcomings. Yamaha made up for these shortcomings in their newer models. The first shortcoming was oil leakage. Also, fumes could ruin riders' clothes. Bikes of yesteryear also faced sudden blackouts due to electrical system flaws. Yamaha tried to eliminate these problems. 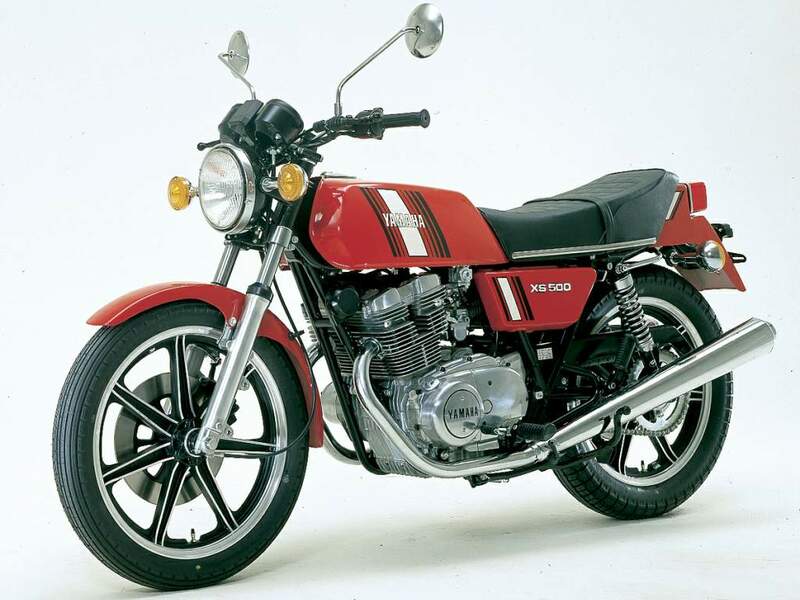 Yamaha's were later designed to be survivor and in fact, have been time-tested. One such model XS650SG sported a look of the 1960s and 70s, and yet was very much user-friendly. The XS650 Is A True Survivor! The Yamaha XS650 family has had a glorious product life cycle, starting in its evolutionary journey as the largest selling Yamaha model in around 1977. In 1979, the model was competitively priced at $2198. 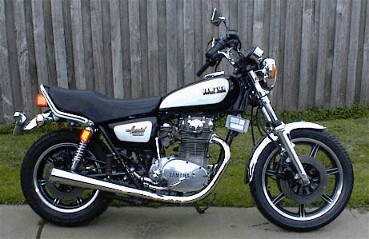 XS650 series also began to offer different models like XS650G, XS650-G2 etc. wheel is provided with unconventional tubeless rubber, whereas the convention is to go for tube type. The wheels of these Yamaha's have a seven-spoke design with a silvery shine. Their brakes are special, with solo disks fore and aft. The suspension forks of XS650's are straight in nature. The shocks are capable of delivering 90 mm (3.6 inches) of travel. Much effort has been devoted to the configuration of the engine. The crankshaft has been counterweighed, rubber cushioning has been provided, motor mounts have been moved and the transmission ratios have been revised in order to put a check on the vibration aspect. The slim and trim engine ensures economic fuel consumption. The engine has a custom styled shorter megaphone. Although you get a roaring sound, it still does not violate any laws. This family of Yamaha possesses handlebars 28-inches wide and with a rubber mounting that gives considerable flexing facility. One of the most attractive physiological parts of the chopper is the seat, which provided additional padding and a lower position adding to the comfort. The design also allows room for innovative modification in days ahead. The gas tank has a capacity of 3.0 gallons. Additionally, Yamaha's have an array of extra options to suit your specific needs. The bike weighs 463 lbs., has an overall length of about 85 inches. Simply upload a picture of your bike and tell us the details. The more the better! Include a picture! Click the button and find it on your computer. Then select it.